Rough bumps and challenging terrain are all in a day's work. Feeling them shouldn't have to be. The Toro GrandStand combines the speed and comfort of a zero-turn rider with the on-and-off ease of a wide area walk-behind -- creating a fast, maneuverable and more productive alternative. And now the GrandStand is even better with all-new next generation upgrades that add up to higher productivity, lower maintenance and easier service. 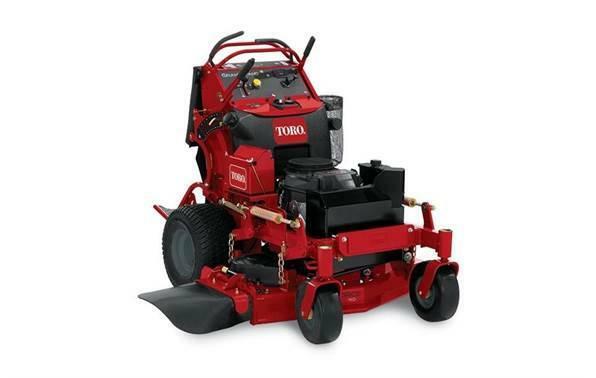 This mower has a 15 HP (11 kw) KawasakiÂ® FS with 40" (102 cm) TURBO FORCEÂ® deck.